Pastor Sandlin – do you have a trove of quotes on prayer? You for quite a while were posting on prayer and it really affected me. A lot of great Bounds quotes. I sometimes feel like we Purtianical Reformed in certain parts pray without expectation to justify a theological position. Where is there faith without expectation? The questions are hard when one prays fervently for an outcome that does not happen. But i now believe prayer to be more powerful than I ever thought it was. I’m so sorry this has taken so long to answer. Sharon and I have been out of town a lot lately. 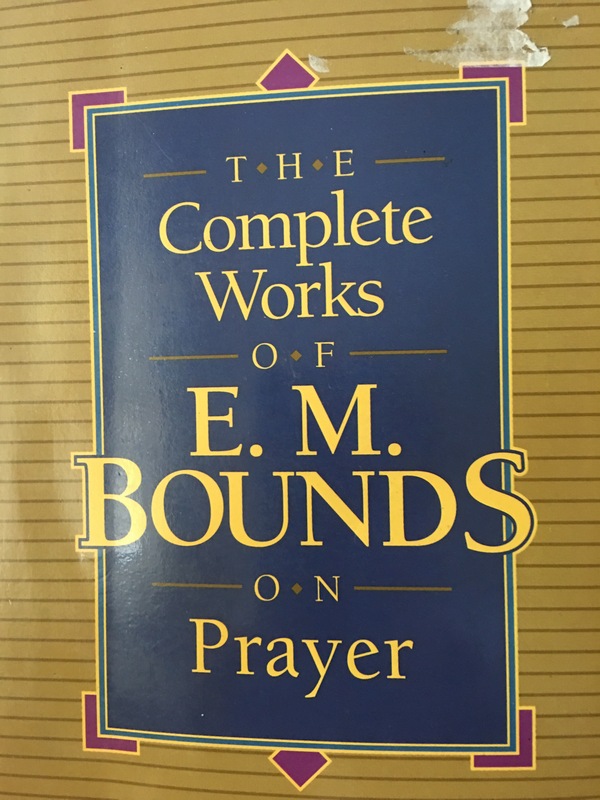 The best quotes that I can give you on prayer are simply found in E. M. Bounds’ complete works on prayer. That book is inexpensive, and I hope you can buy it and consume it. I have read it three times straight through. I just this morning started on my fourth time. I hope before I die to have have read it completely 30 to 35 times. I find it inconceivable that any true Christian can read that book faithfully without his life — not just his prayer life — being transformed. You’re 100% right that the Puritan Calvinists today often have unenthusiastic and paltry prayer lives. This is odd, because Calvin certainly didn’t. For some reason, they let their truncated views of God’s sovereignty and predestination get in the way of powerful, persevering prayer. You would think the opposite would be the case: if God is truly sovereign, why not ask him to do the greatest things possible and thus provide for his children and display his glory in the earth? Now that’s sovereignty! On this point, these often loud proponents of sola scriptura scamper away from the Bible’s plain teaching: God answers prayer if his children cry out to him in simple faith. He answers when they persevere in prayer. He is often willing to change his stated course of action if they cry out to him. He wants to do good things for them and not hurt them “for his greater sovereignty.” These facts are so plain and so frequent in the Bible that one would have to be committed to an alternative theological proposition to bracket them out and pretend they don’t say what they obviously do. I am praying right now that God continues to give you a mighty spirit of prayer and demonstrates his greatness in the earth as a result of prayers he answers for you.